Who has been the best Dolphins' starting quarterback since Marino? Who would win an AFC Confrence game? do te think Jason Taylor should be penalized for doing Dancing With The Stars? wo do te think is hotter ryan tannehill o rosslynch? Learn about the seats before te purchase your Dolphins tickets. This limited edition Dan Marino Miami Dolphins Cooperstown orso is wrapped in box in perfect condition with certificate of authenticity. #221 of 3000.
a pop quiz question è stato aggiunto: On NFL Network's superiore, in alto 10 Quarterbacks, what number is Dan Marino? a question è stato aggiunto: wo do you think is hotter ryan tannehill or rosslynch? 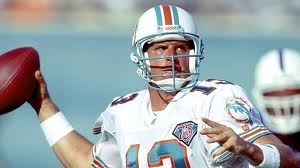 On NFL Network's superiore, in alto 10 Quarterbacks, what number is Dan Marino? watch Miami Dolphins games online live? watch the Dolphins game online? Live NFL delfino Games online!! !